Oxford’s ancient and holy wells are well-recorded, Charles Hope in his 1893 Legendary Lore of Holy Wells dedicates a considerable amount of space to the subject. However by his time many of these wells had already vanished. Hope (1893) records:. 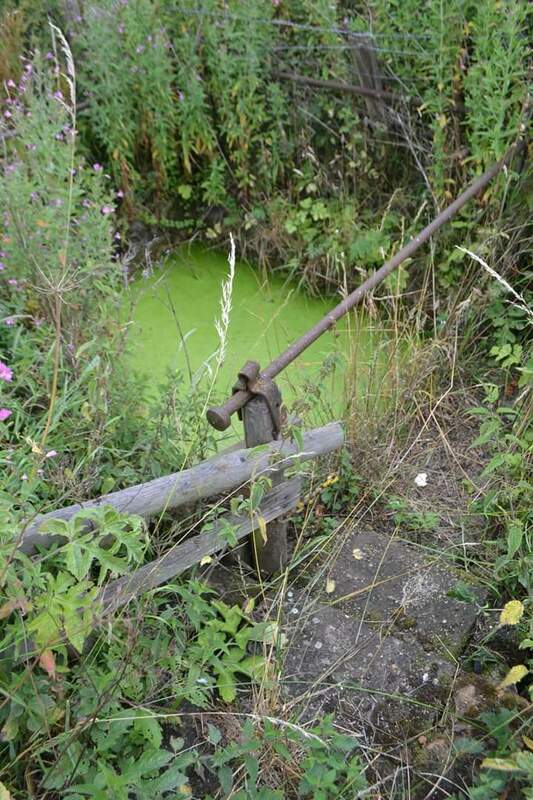 This spring still exists in a form feeding a fen in a nature reserve in the Chiswell Valley. Its name is more likely to be derived from Old English chald meaning cold as found in other childwell types. What is interesting is that the area was called Happy Valley for being the site of picnics the most popular day being Good Friday. 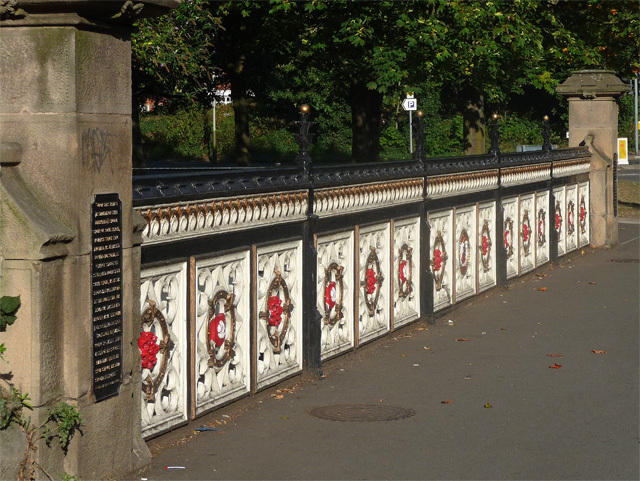 Was this a remembrance of taking the waters from this spring on Good Friday as was traditional in other places? This month I celebrate 5 years blogging about holy wells and healing springs. So this month to celebrate…I am having a break (!) all the posts this month are guest blogs. The third post is from Devon artist Alex Atherton, who has recently authored a delightful book which takes Devon’s beautiful wells weaving her artistic magic to draw the reader in. 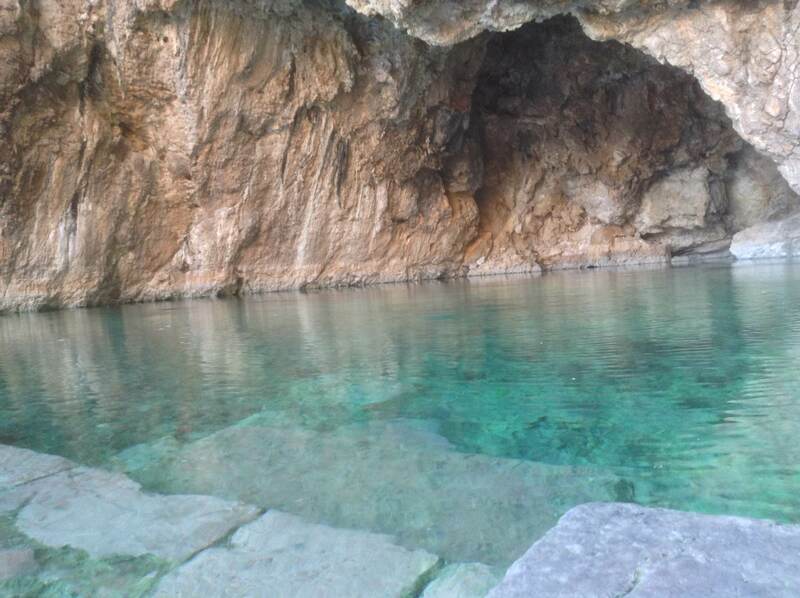 In this guest blog she explains how she became entranced by holy wells! 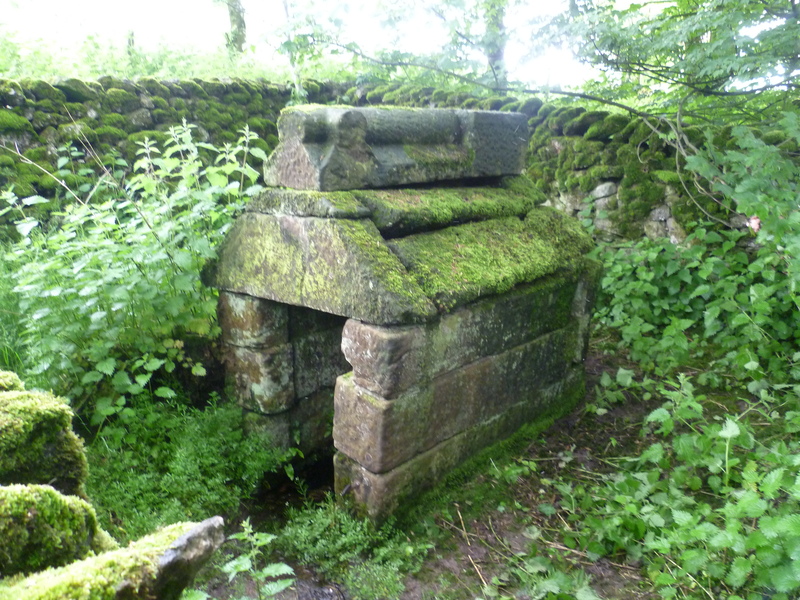 Often forgotten, occasionally neglected and mostly overlooked by visitors and locals alike, Devon’s beautiful and magical ancient and holy wells are worth just as much attention as those in other counties that are perhaps more well known. 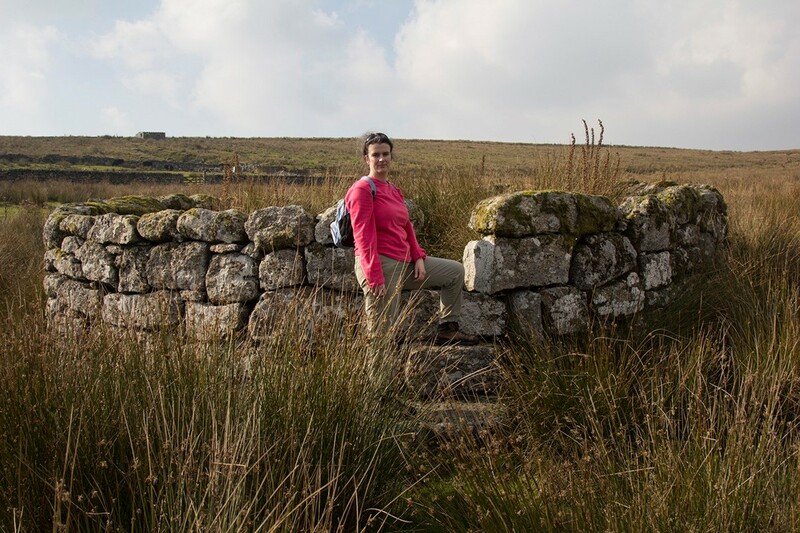 Indeed, many people are surprised to learn that Devon has such a rich and diverse well heritage, even though they may live close to and walk past local examples every day of their lives. 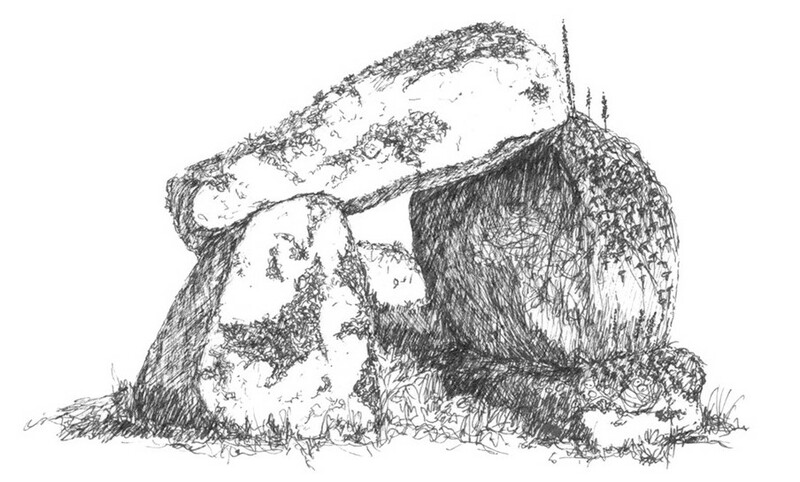 And before I embarked on this project, I was one of these people – unaware that I regularly drove past at least two examples on the lanes around my home on Dartmoor, like Druids Well near Chagford (see drawing). The inspiration for this project came initially from an encounter with an ancient spring at Lydford whilst working on another art project early in 2015. Little did I realise at the time that this chance discovery would be the start of an enchanting journey that took me to some of the most remote, beautiful and hidden corners of Devon in search of its ancient and holy wells. As an artist living on Dartmoor, I normally paint landscapes in oils that capture the many moods of the moor. 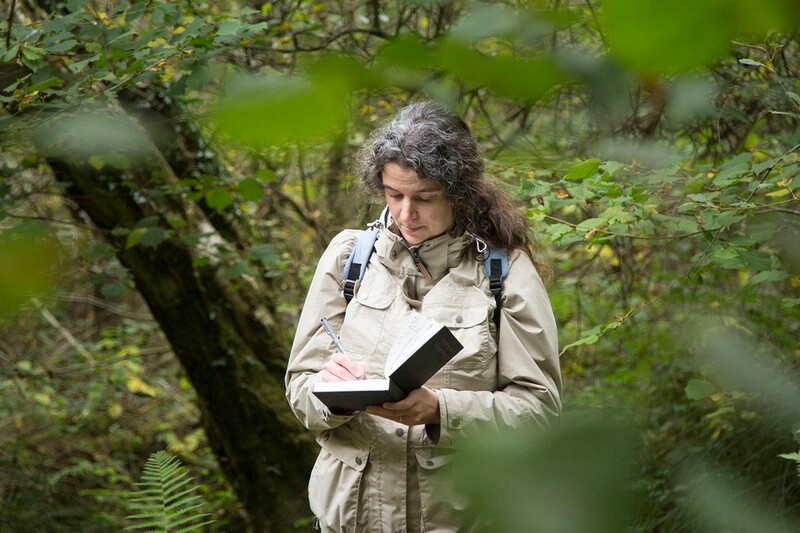 But my growing curiosity about Devon’s wells presented me with an exciting new challenge, and provided an opportunity for me to explore the world of pen drawing. Initially, I saw these drawings very much as a personal project, but as I continued on my journey of discovery, and produced more and more drawings, the idea of publishing a ‘secret little book’ started to take shape. With a copy of Terry Faull’s ‘Secrets of the Hidden Source’ in one hand and my sketchbook in the other, I travelled the length and breadth of the county on a personal pilgrimage, descending through dark, narrow paths in shaded woodlands, scrambling down steep paths alongside coastal cliffs, carefully negotiating boggy fields and quietly searching the back lanes of peaceful villages. 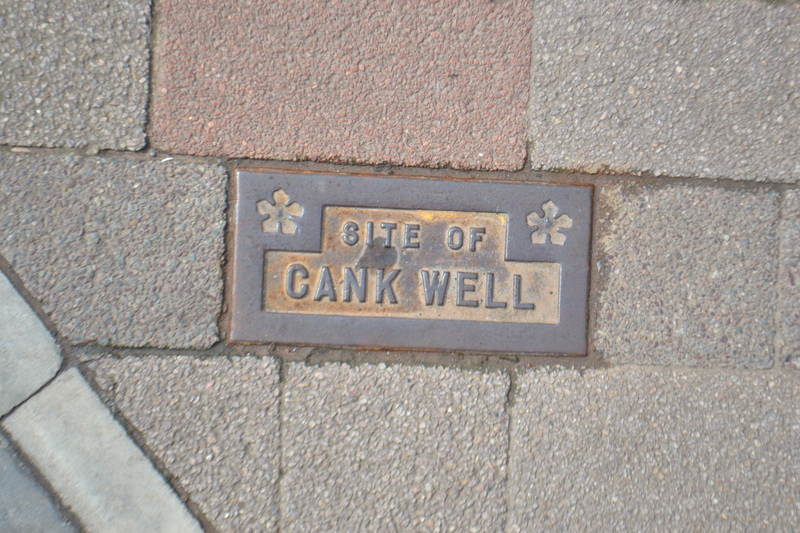 Many of the wells are associated with local legends. When the Devil arrived in Widecombe one day, so the story goes, the locals gave him water to drink from Saxon’s Well, just outside the village centre. The water burned as he swallowed and with his wrath he brought down the church steeple. 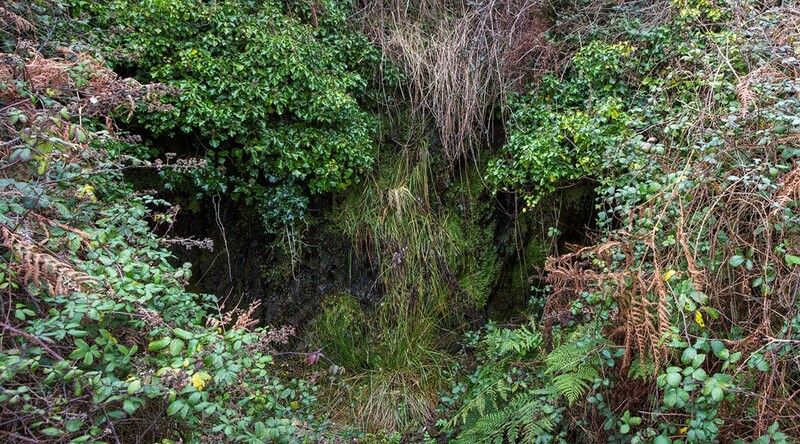 When Joseph of Arimathea tapped the ground near the Exmoor coast with his staff, water sprang up from the earth – and today an imposing 19th century structure marks the site deep in the oak woodland. Others were highly regarded in the past for their healing properties. The three distinct troughs at Leechwell in Totnes may offer you relief from skin problems, snake bites and disorders of the spirit, if you know which is which of course! It was hard not to be moved by some of the structures that I came across and their setting. For example, Fice’s Well is a wonderful structure, but its stark location on the bleak moor left me with a feeling of loneliness and a sense of regret leaving it behind. Sometimes I would find a hidden jewel where I least expected it. This was particularly true of Cathedral Well at St James Park railway station, Exeter. When I visited the area late on a winter Sunday afternoon, there was a remarkable peace despite its urban address, helped by the quiet and nostalgic railway-side allotments opposite the sadly bricked-up well building. It seemed on occasion that some wells just did not want me to find them! The first time I travelled to see the haunting Eyewell on the coast path at Morte Point I was defeated by failing light as the sun set; the second time I was turned away by gale-force winds and lashing rain. Only on the third attempt did I manage to reach this enigmatic and moss-drenched well! Further details about the book and how to obtain it can be found on my website at http://www.alexatherton.co.uk. After a full life of Christian service, Fr John moved to Keswick, from the south coast, with his wife Jenny in 2007. They immediately found enough people to start an Orthodox parish and he was ordained priest in 2008. The parish serves the whole of Cumbria and beyond and was granted the use of Braithwaite Methodist Church in 2009. There is an Orthodox liturgy in English every Sunday at 10.30 followed by food and time together for much of the afternoon. We welcome young families and children. The parish is thriving and is becoming known for its energy, warmth, and welcome. Fr John is a keen observer of the continuity between the early church in the British Isles and coming of Orthodoxy to Britain again in recent times. His passion is the traditon of lived holiness down the ages. He has written a book about the saints and their relevance today. He has extensively explored ancient Christian sites in the UK and Ireland. His latest interest has been the Holy Wels of North Cumbria. My introduction to holy wells came about in Ireland. I had some free time over there so I went to look for holy sites. This was a jaw dropping experience to find much of Ireland’s rich heritage of monasteries, churches, holy wells and more. With my wife we journeyed all over, in time visiting most of Ireland twice. Ireland is reputed to have had 3000 wells. We saw many big ones, little ones, nice ones, and spooky ones. My favourite is at Kyle in Co Tipperary. It is well off the beaten track. You have to negotiate a bull, water that bubbles, trees with clouties, and under the trees many crosses from a mysterious unknown monastery. Back home in Cumbria we started to notice wells until it got to the point where we knew of at least 70 – many more than earlier tallies. So we felt people ought to know. We have published ‘Springs of Living Water’, in paperback and hardback. The hardback came out expensive, but I believe it to be a gem. 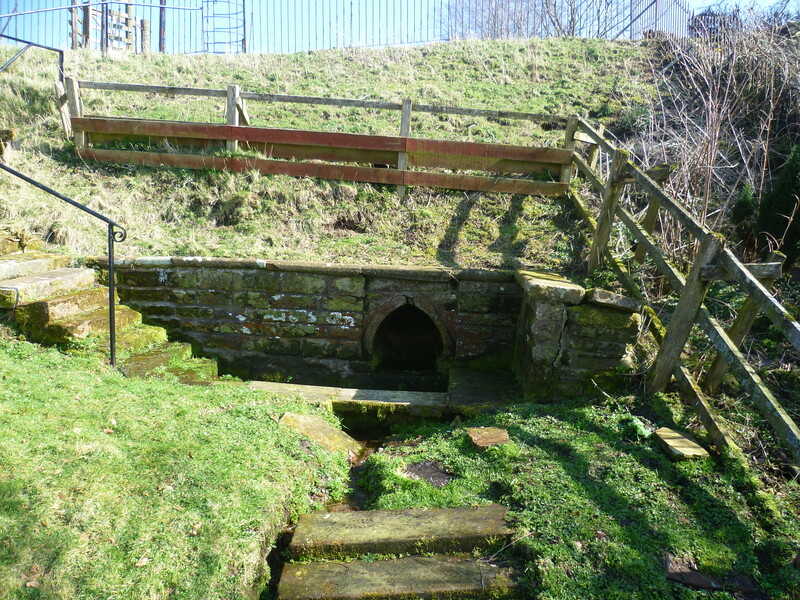 St Helen’s, Great Asby, is the well with the best flow of water. 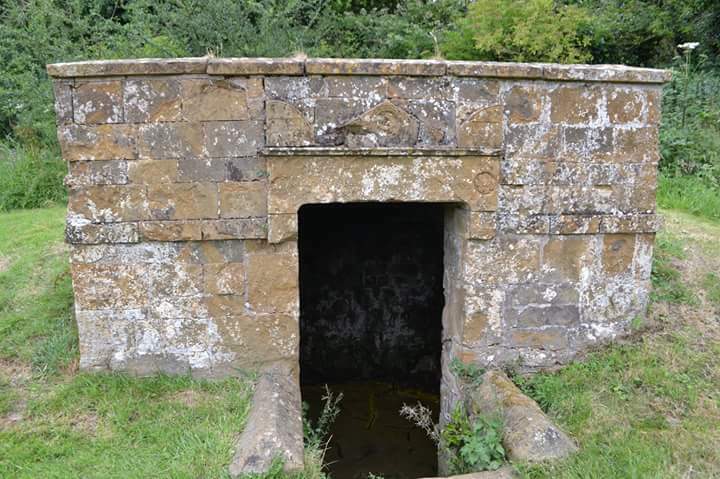 St Michael’s, Arthuret, is a big well and a very old one. St Andrews, Kirkandrewes, (on the front cover) has outlived its church but still makes a pretty flow of water by the footpath down past the churchyard. The most popular of wells is lkely to be that at Caldbeck on the riverbank behind the church. I always like to find those difficult to discover: St Michael’s, once of Addingham, now in Lazonby, has to be another favourite with loads of atmosphere underneath trees, rather like Powdonnet well in Morland; St Catherines in a remote spot near Boot in Eskdale; the well at Staffield is little known, hidden away in the middle of a very very large field. In this category also must come the well in the bottom of Schawk quarry which had a history going back to Roman times. Many places have lost their wells and are known only by name: but there is one almost perfect well – Grange Hall in Great Asby with its canopy still in place. What’s it all about? We don’t get very far without facing the deeper questions. Where do they come from? What are they for? Where do we come in the scale of history? It is a wise man who does not jump in too quickly to answer these questions. But here are some thoughts and reflections. Human beings have to drink and wash from time to time. 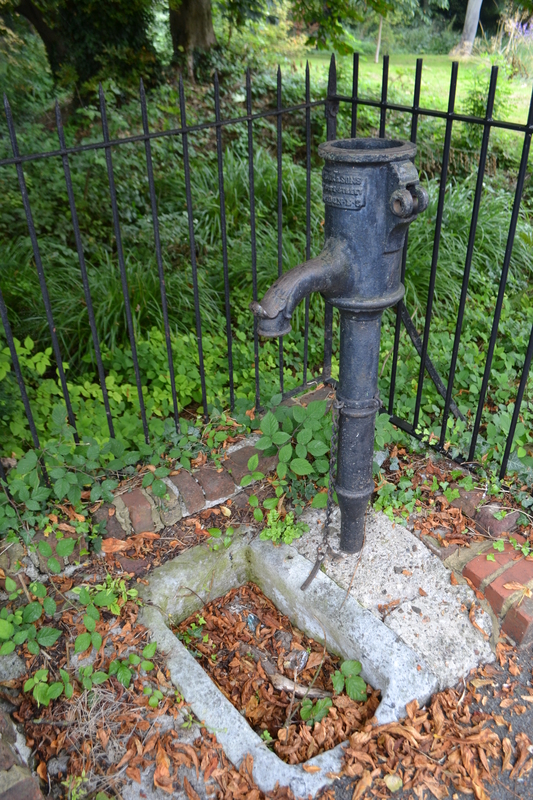 Our ancestors valued wells, streams and rivers because of this practical need of water. 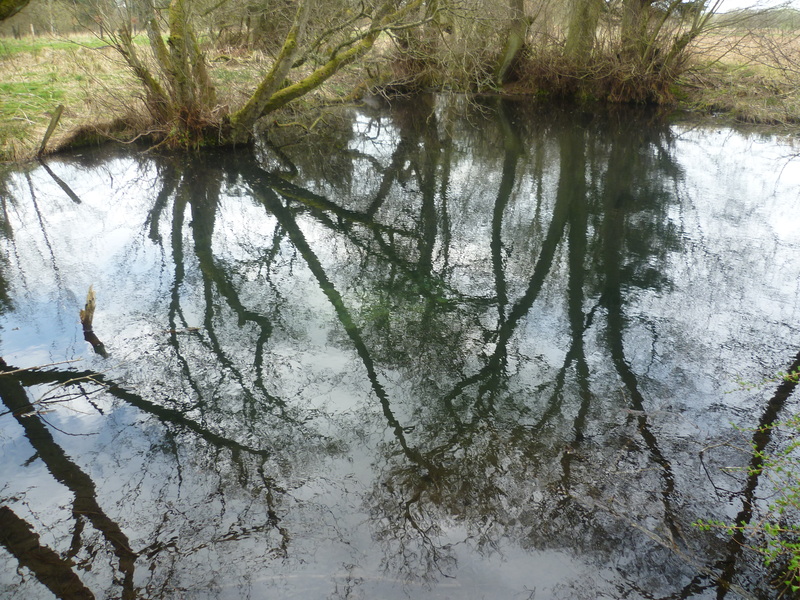 But such is the ‘magic’ of water they, like us, reflected on the matter and noticed how some wells had something more: a sense of mystery, a sense of awe, a sense of the ‘holy’. We need not doubt this for we can feel it too. In this context the leaving of a gift is a natural thing to do. We all have our explanations. We do not have to be condescending. We only need to sit at Castlerigg Stone Circle in Keswick to realise this magnificent piece of work is a testimony to man’s consumng search for the spiritual, the divine, for ‘God’. Kneeling by the pool of water at Kyle we become aware of the bubbles coming up through the limestone. Instantly comes to mind the cripple at the Pool of Siloam who, when the pool was disturbed, could get no one to take him to the water. Here was a connection across 2000 years, between an event in Jerusalem to a moment in Kyle, of revelation, of meaning, of healing, if you believe it. Could not the Celt have made the same connection? Would he not believe he had found a greater salvation? Just up the road from our house is Crosthwaite parish church. 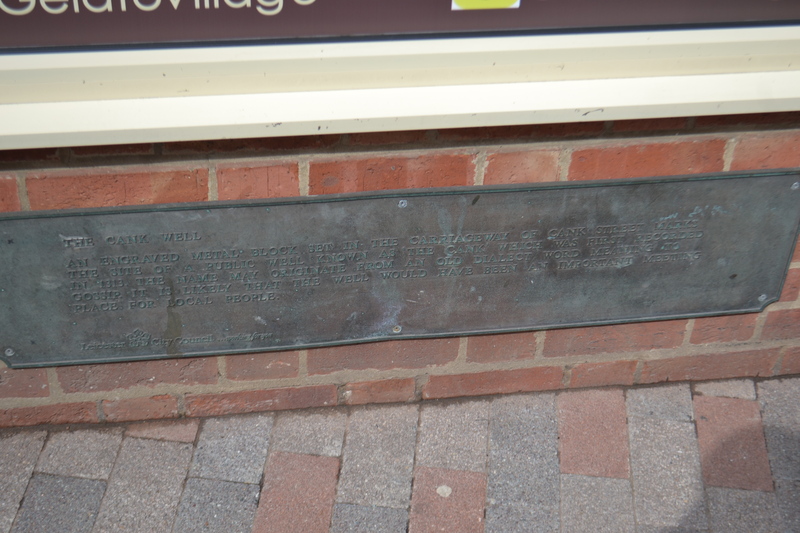 Here, in a likely tale told by an Englishman called Bede, about the itinerant bishop St Kentigern (I prefer the more intimate name of Mungo, ‘my dear one’) who placed his cross in a clearing and began to speak. From all accounts (as shown in the contemporary Life of St Cuthbert) there were many in those days who were thirsty. They went down into the pool, or stream or river and were baptised. 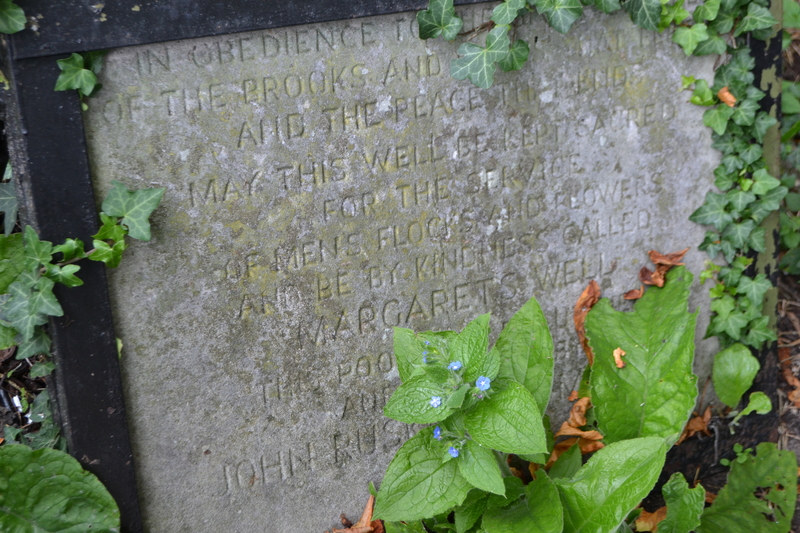 Seek out the old British churches, of which there are several in north Cumbria, and look for the water. I guarantee you will find it. The water was blessed, the water was used again and again. The faithful built little churches by the spot or even over it. They remembered the day when the Saint had visited them. They remembered the name of Christ and the name of the Trinity, though in some places it didn’t catch on and people went on in their old convictions. The Christian felt connected to the saint even when, as they believed, he went from them and was alive with Christ in heaven; and they found he still prayed for them. Christ, the Church, the saints, the wells and baptism were the foundation of a new culture. Holy Wells flourished and abounded. If we go anywhere in Wales or Cornwall we will be astonished by their number. The large wall map on my wall of Cumbria tells the same story. As we all know they came under attack, many were destroyed, left to neglect. For a long time people remembered the old places. They still went on the Saints days to trade their wares, to enjoy the entertainments and went home grateful for another ‘holi-day’ temporarily lifting the heavy burden of life long ago. 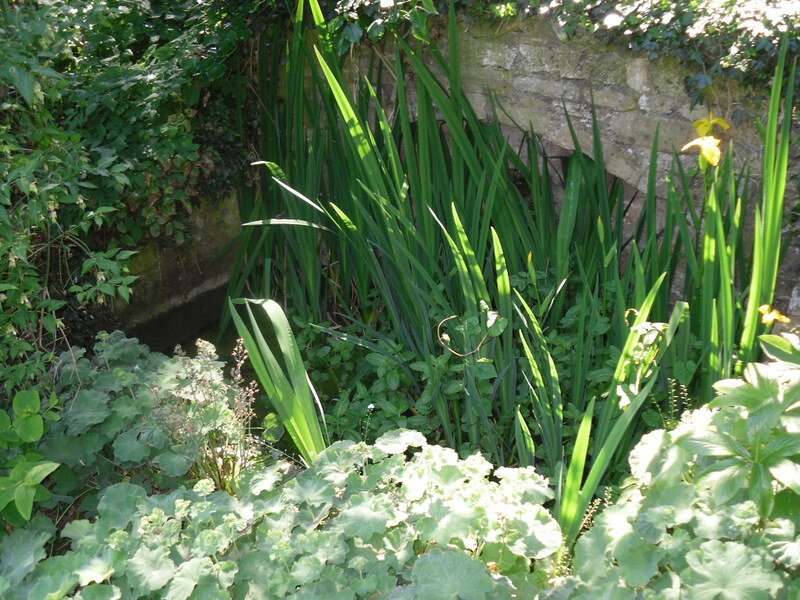 Some wells got a new lease of life by the Spas when the cultured ‘took the waters’. Cumbria has many of them. Now people go to them for a nice weekend, and the well is, if anything, just a curiosity. Our church in Braithwaite has started to bless the waters again; and new believers plunge into the cold waters of the beck. We have a large container of blessed water inside the church for use on local saints days, of St Bega, St Mungo, St Cuthbert and St Herbert. We also bless our homes with the water. In effect, we have made a new holy well!